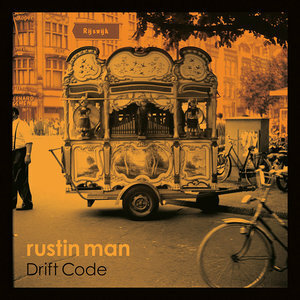 On Rustin Man's Drift Code, each track fits as a piece of the whole puzzle while also housing its own personality via surprisingly resourceful tones and constructions. Best known as the former bass player of Talk Talk and as one-half of experimental duo .O.rang (alongside Talk Talk drummer Lee Harris), English musician Paul Webb is a master of spearheading ventures that spawn imaginative and intriguing results. Case in point: Rustin Man, a pseudonym he's only used once previously (on 2002's folkish Out of Season alongside Portishead singer Beth Gibbons and a host of guest players). Nearly 20 years later, Webb returns with a very worthwhile follow-up, Drift Code. In many ways, it's an emptier and more ethereal and exclusive experience than its predecessor, yet it upholds much of what made that album so enticing (even if its sparseness and sameness can sometimes get in the way). Like just about every artist in the same situation, Webb never intended to take so long to do another Rustin Man record. Yet, the obligations of converting a barn into a recording studio—coupled with an expanding family—prolonged the project. Surprisingly, he made much of Drift Code on his own (with help from Harris, orchestral musicians, and keyboardist Snowboy) and recorded it one instrument at a time (with multiple microphones and then patched together the takes). This process proved challenging but ultimately rewarding and impactful, as did Webb's first try at writing songs for his own voice. As for the title, Webb reveals (in the official press release) that it's meant as "an oxymoron" because "a code is something fixed, but our instinct is to wonder, to drift". In other words, "life is a puzzle that can't be solved because the answer is always changing" (as he puts it), and in that way, Drift Code is always enthrallingly enigmatic and haunting (even when its unique persona borders on becoming repetitious). The whole sequence is a gripping merger of the aforementioned folk tranquility and the mellower textural adventurousness of bands like Caravan, Camel, Amon Düül II, and King Crimson. Specifically, "The World's in Town" captures the calming spaciness and jazzy reserve of the latter's Islands with its otherworldly effects, quiet arrangement, and charmingly timid vocals (including intersecting harmonies). Elsewhere, "Vanishing Heart" opens the collection as a hypnotic piano ballad with sporadic percussion, horns, and electric guitar strums complementing Webb's distraught singing. "Judgement Train" and "Our Tomorrows" add a bit of late 1960s psychedelic frolicking into the mix, while "Euphonium Dream" is an avant-garde instrumental whose horns and spectral surges make it feel like the soundtrack to an LSD-induced nightmare (in a good way). At the end of the LP, "Light the Light" finds Webb trying on multiple voices over a densely strange set-up prior to "Martian Garden" permitting foreboding choral urgency to usurp a peaceful center. From start to finish, Drift Code is fascinatingly innovative yet cohesive. That said, its slower and thinner moments can be a bit of a slog when the record is taken in one sitting. That is true for most of the songs here, especially the extraneous "Brings Me Joy", which, while a nice composition at its core, nonetheless overstays its welcome simply because it doesn't really go anywhere. The same can be said for closer "All Summer" (although there's inherently more to it, and it's never a bad idea to let a bittersweet acoustic ode finish the journey). These gripes certainly don't ruin the experience, but they are noticeable after repeated playthroughs. Although there could be more diversity and depth at times, the vast majority of Drift Code is mesmeric in its idiosyncratic splendor. Webb's voice alone is a characteristic and multifaceted treat that really suits the timbres and subject matter surrounding it. Likewise, each track fits as a piece of the whole puzzle while also housing its own personality via surprisingly resourceful tones and constructions. All in all, Webb and company excel at bringing his novel vision to life with retro charisma, modern creativity, and a timeless classiness that guarantees its relevancy and appeal for the foreseeable future.